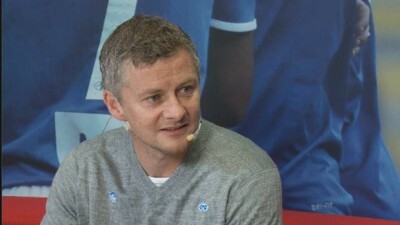 Ole Gunnar Solskjær, the former Norwegian football player who sprang to international fame during his years at Manchester United, is heading back again to where his brilliant career began. He’ll take over as manager for Molde football club, on a new three-and-a-half-year contract. Solskjær is starting his new job immediately and was set to coach the club in its match on Thursday against Celtic in the Europa League. He told reporters he’d “missed the buzz” of big matches since a short-lived stint at Cardiff came to an end after only nine months last year. Manchester United, meanwhile, congratulated Solskjær on his “return to management” in Molde. Molde’s administrative officials called it “a happy day” with Solskjær back among them. Solskjær replaces Erling Moe who in turn had stepped in for Tor Ole Skullerud after he was fired earlier this year. Moe will remain part of Solskjær’s apparatus.